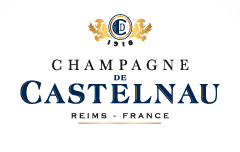 Champagne de Castelnau is to repackage its entire range and drop the ‘de’ from its name as it marks 100 years since the brand was created in 1916. Speaking to the drinks business at the launch of the Champagne’s new prestige cuvée in London earlier this month, managing director of the house, Pascal Prudhomme, expressed his intention to modernise the image of de Castelnau this year, which is the centenary of the brand’s foundation. As can be seen on the front label of the new prestige cuvée, the house is listed as just ‘Champagne Castelnau’, with a double ‘C’ logo beneath. However, he also noted that today Champagnes with ‘de’ in their brand are associated with inexpensive supermarket Champagne private labels, rather than aristocratic families. “We find today that there is a ‘de’ in a lot of supermarket Champagne labels in France,” he stated. Click here to read more about the launch of the Hors Catégorie Champagne.